A daily to-do list is generated for your review. There are a variety of options to choose from. Select the action that fits you and your lifestyle. Tap on the card to complete the action effortlessly. For instance, tap the Twitter button and the tweet is auto populated. If you like the auto-populated text, just tap tweet and the action is complete. 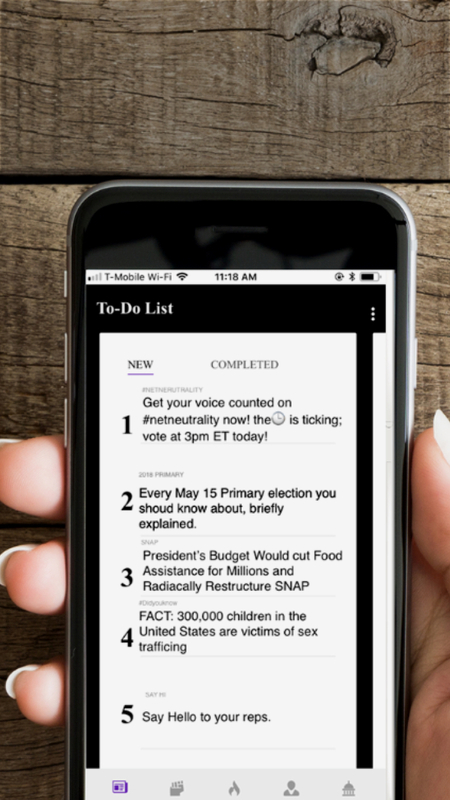 Or tap on Read, and read the article to learn more about issues important to you.